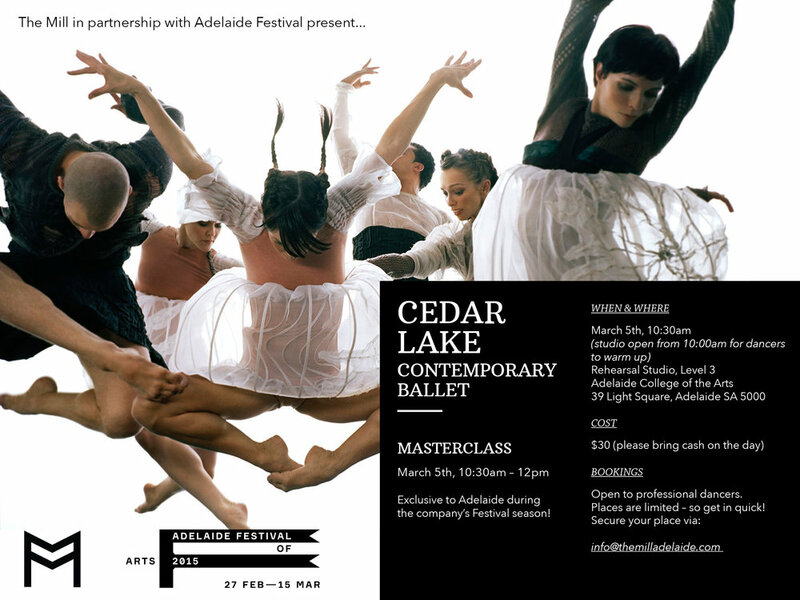 Exclusive to Adelaide during the company’s Festival season! Cedar Lake's classes are designed to give dancers a well-rounded overview of contemporary ballet and the repertoire of Cedar Lake. The first portion of the class begins with a warm-up and the second portion incorporates the principles and techniques of choreographers whose work will be presented in the performance city. Class will run for 1 hour 30 minutes. Dress for Class. No late comers will be allowed.